I created my first Yahoo email account back in the late 1990s, but I stopped actively using it when Gmail introduced their email service and I made that switch. So that Yahoo account is still there, just not being used. I recently got an email from Yahoo that was pretty outrageous in light of recent events. That email started like this: “Dear Scott, We’re committed to your account security…“. If there’s any company that is unable to keep my account secure, it’s Yahoo. A few months ago, I wrote about Yahoo’s revealing that they had been hacked by some other country’s government back in 2014. Over 500 million Yahoo users had their data potentially stolen. This included email addresses, passwords, and security questions. This was not revealed to their user base until 2016. It has also been revealed that Yahoo built a software tool that allowed them to search through their users’ private email messages, at the request of some of our own US government agencies. And now, most recently, Yahoo has admitted ANOTHER attack on their servers that resulted in the private information of more than ONE BILLION of their users being compromised. 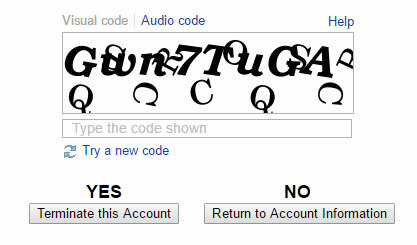 So, dear Yahoo, I hope you’ll forgive me if I question how committed you really are to keeping my account secure. In fact, at this point, I’ll be actually deleting my Yahoo account and all of the data contained in it – and I recommend you do the same. In the past, I’ve told my clients that if you want to switch email addresses you don’t really need to do anything with the old email account other than just don’t use it any more. But with Yahoo demonstrating time after time that they are incapable of keeping anything secure, we need to take it one step farther and just get rid of those accounts completely. Important note: before you delete your Yahoo account, it’s a good idea to check and make sure you don’t need it any more. For example, on my Gmail account, I still had the Yahoo email as the alternative email address to use for account recovery (in case I forgot my password, for example). You need to check this and make sure you definitely don’t need to use this Yahoo account for anything whatsoever. Another important note: when you abandon your Yahoo account, there is the possibility that someone else could come along and create their own account with that email address. Just something to be aware of. And – when you delete your Yahoo account, you are also deleting your Flickr account. If the termination was successful, you’ll be taken to a confirmation screen that tells you the account is scheduled for deletion and you no longer have access to it. It actually doesn’t get deleted from Yahoo’s servers for about 90 days. What if you want your data removed from Yahoo sooner than 90 days? In that case, go through your emails and folders and whatever information you want gone and delete it manually before you actually delete the account itself. Hi Computer Tutor! Just listed to episode Time to delete your Yahoo! account. I have had a Yahoo account since year 2000, and it has served me well. Therefore, I was quite surprised and dismayed at your advice to all Yahoo account holders to close their accounts due to the security breaches at Yahoo, and migrate to another email service like Gmail. Not that i don’t think there is merit in your advice due the security breaches, but rather, what concerns me is the amount of time an email migration would take a person like me who has had Yahoo for over 16 years. (even though in addition to Yahoo, i sometimes use Gmail for email). I started thinking about all the things my Yahoo account is used for and, needless to say, I was stunned. Nearly every on-line service I use is tied to my Yahoo account and has been since year 2000: Paypal, Amazon, my internet bank accounts, Airbnb, my 401K, online computer courses, all my frequent flyer airline and hotel accounts, Instagram…and maybe 30-40 other non-critical services, but you get the point. This would take me literally weeks, maybe longer to migrate all these services to Gmail. I have had 2-phase login on Yahoo for about a year or so, and it was worked fine. When I login to Yahoo from any computer, I always need my smart phone to verify and approve the login. My question to you is, would using two-phase login be sufficient enough to prevent hackers from getting at my personal email data on Yahoo? I also update my password 3-4x/year. I know what you mean. Changing emails is a hassle and a big headache. Really, the point of my recommendation is not because someone could hack into your account specifically. A strong, unique password and two-factor authentication means a hacker would probably just pass and head on to an easier target. The problem is your information as it sits on Yahoo’s servers. THEY either cannot or don’t care enough about it to keep your data secure. And they are actively enabling and assisting the federal government in getting your information, which (in my opinion, and it seems in the opinion of the framers of the Constitution also) they have no right to do. It’s like Barney Fife guarding Ft. Knox, except there’s no humor involved. I have been getting these Yahoo alerts from Norton Security lately also. I need to know where the real danger lies. If my password has been seen by hackers, I do not see where it really affects me. I have nothing to hide in my Yahoo e-mails since there is no confidential information in any of them. I would be very concerned if my banking and shopping accounts were exposed in my Yahoo account. But they are not. Am I missing the point? What if a scammer went into your Yahoo account and sent your whole contact list an attachment that was actually a virus? Your friends would be more likely to open it when they saw it was from you, a trusted friend. That’s just one example. You definitely don’t want a hacker to gain control of your email account. Thank you for this podcast. 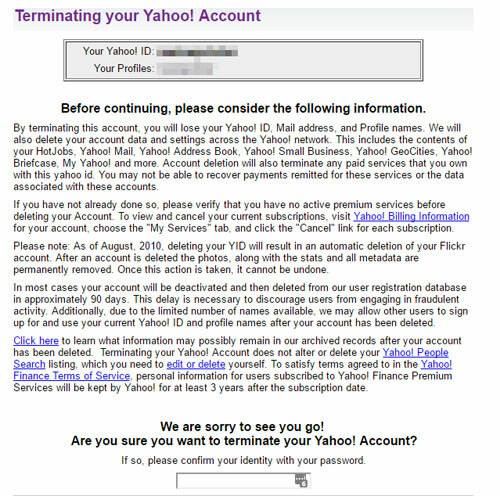 I had been considering halting use of my Yahoo accounts given the security concerns, and you gave me confirmation. As I attempt to make this happen…is there any way to email all the emails in a certain folder to a different email account so that I can retain access to the information in my emails without touching each individual email? The only way I know of would be to use a Gmail account, and set Gmail to bring in all of your Yahoo emails. Once they are all showing in your Gmail account, you can label and organize them, and then delete your Yahoo account. As always Scott, your advise is invaluable. I am gradually migrating everything (including emails from you dating back to 2011), updating to Google email accounts, and when I’m confident I haven’t missed anything, will delete the yahoo accounts. Any advice on what to do if a Facebook Account was opened using a Yahoo email address? Thanks! Well done Ingrid! For Facebook, you can go into Facebook and change your email address in your profile there.